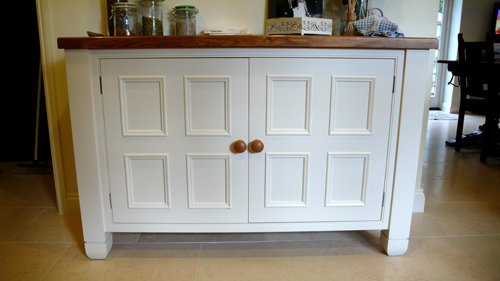 Mr and Mrs Boxell loved the style and feel of french inspired handmade kitchens by Chalon. So for this project we worked in reference to their style and look but created a product with the clients own stamp. 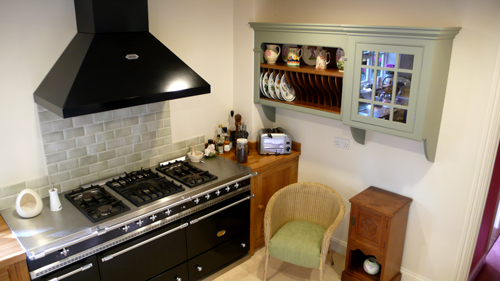 The finished kitchen works and looks great. The most fun part of the job was working with the 1800mm range cooker! 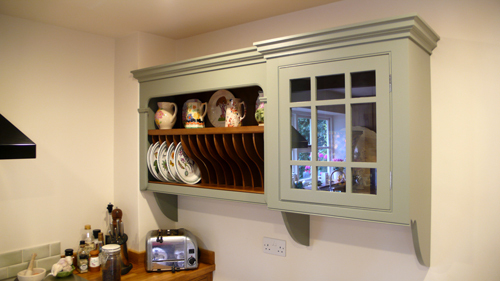 The subtle green, hand painted cabinets really set the oak finishes off. Free standing pieces are a specialty. 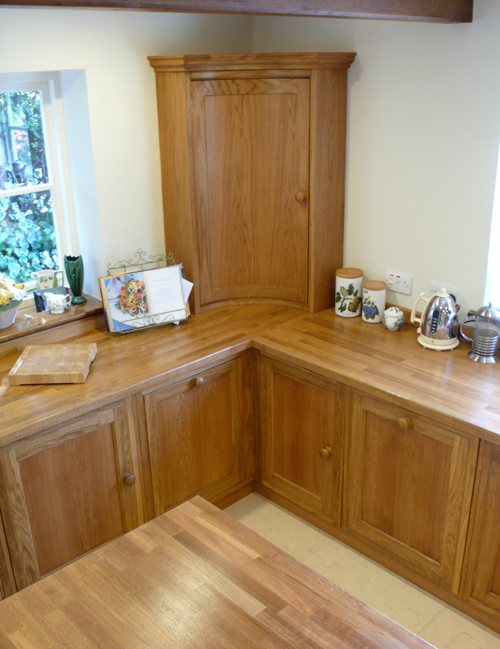 The oak cabinets and solid tops lend themselves well to the rural setting.